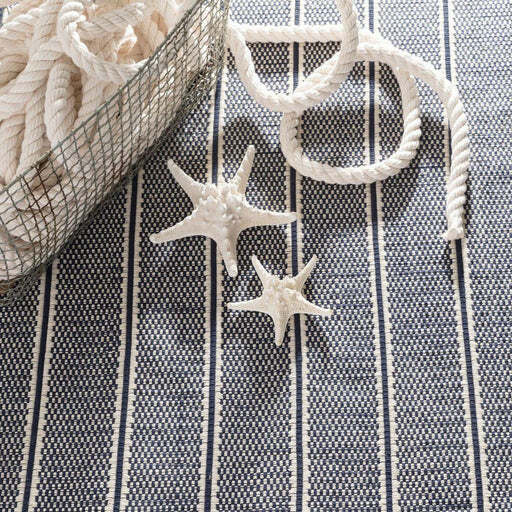 Dash & Albert Cotton Rugs feature fresh, timeless designs such as blue and white stripes, marled & herringbone patterns, that bring breezy, coastal elegance to any space in your home. Their durable construction makes them ideal in high-traffic areas including kitchens, laundry rooms, bedrooms, playrooms and living areas. 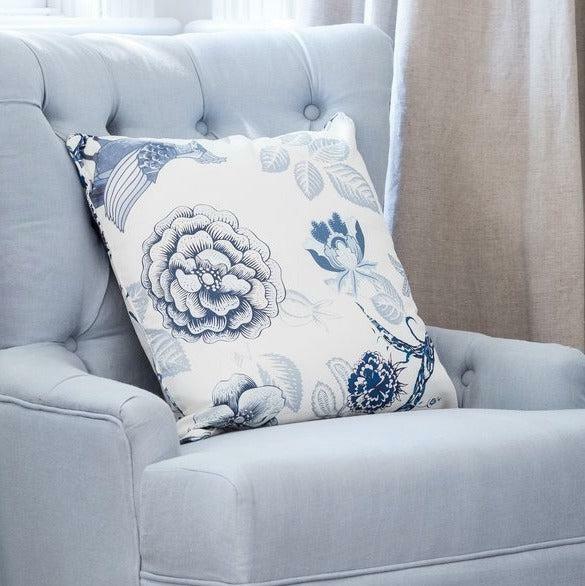 They’re 100% pure cotton, and feature a cotton backing for the utmost in longevity and stability. They have a relatively low-profile and are beautifully woven. These cotton rugs are also easy to maintain, and all you need to do is vacuum them or occasionally shake them out to keep them fresh and functional. 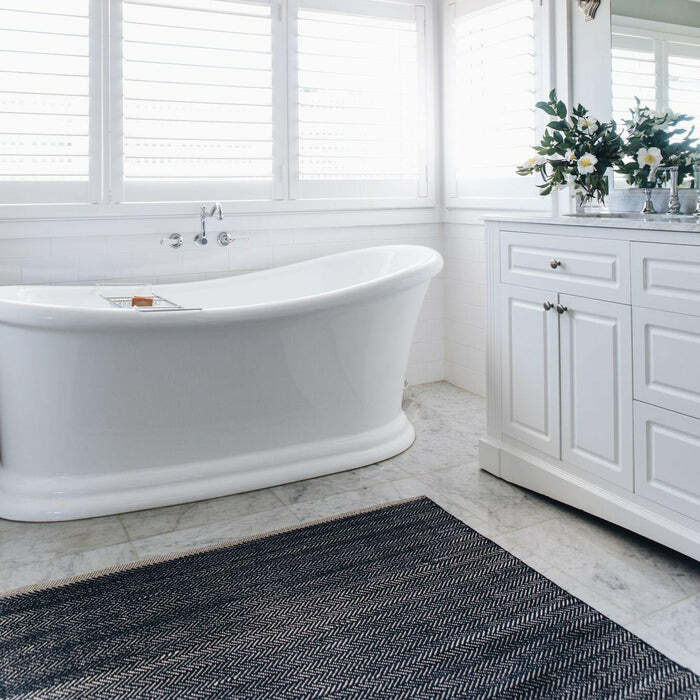 It’s easy to envision one of these cotton rugs on your wood floors, bringing in that perfect layered-yet-effortless Hamptons coastal sensibility. 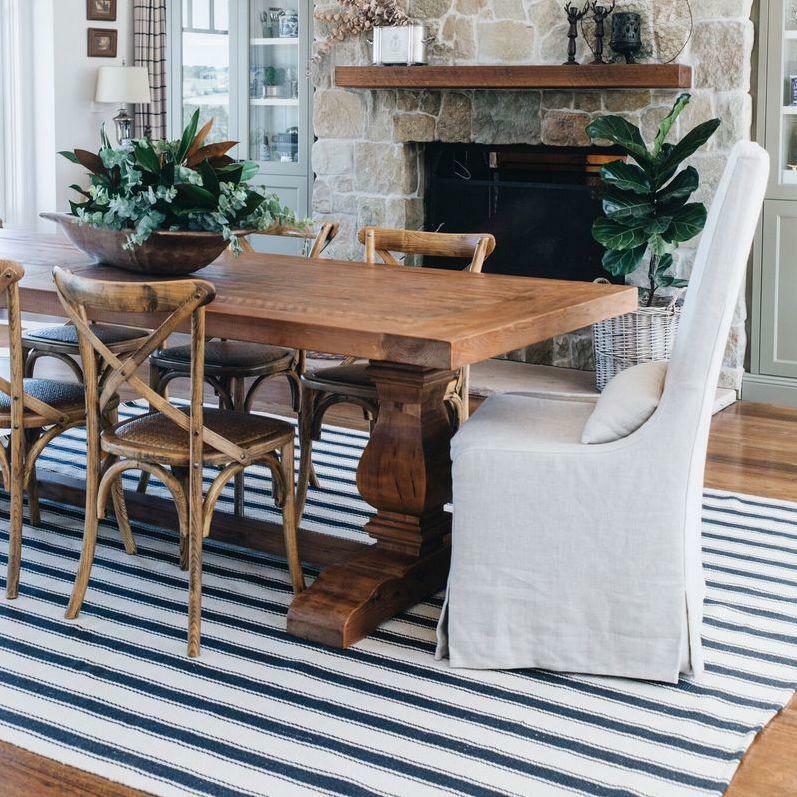 All Dash & Albert rugs are individually handmade and hand woven items and as such they are subject to the following variations, which are not considered faults or defects. Size: being a handmade product, the size can vary by +/-3% from the size ordered. 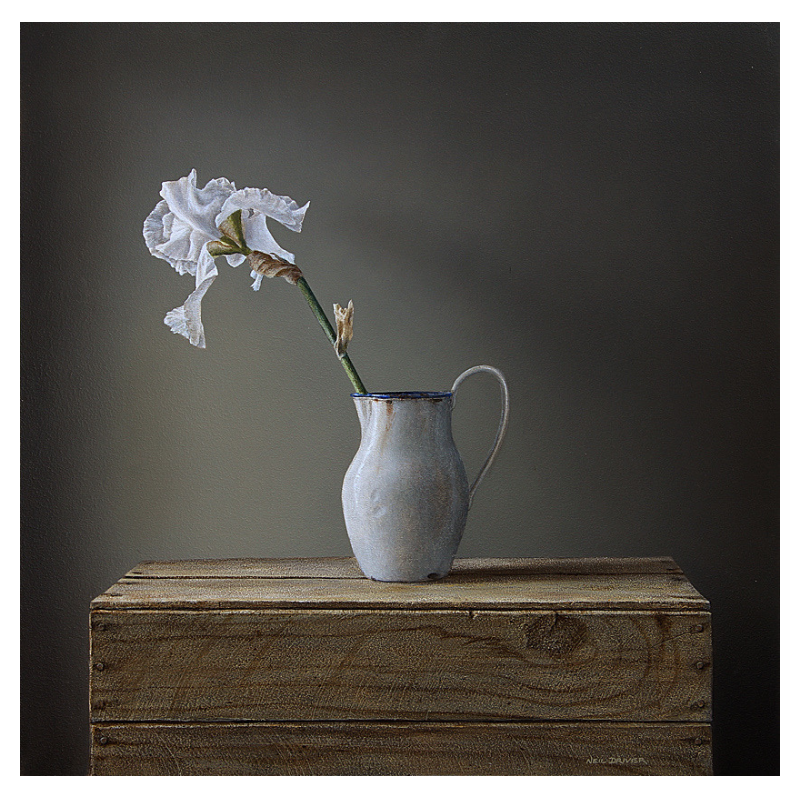 Colour: the products are made primarily from natural and undyed fibres. Every effort is made to ensure there is minimal colour variation however some variation can be expected. 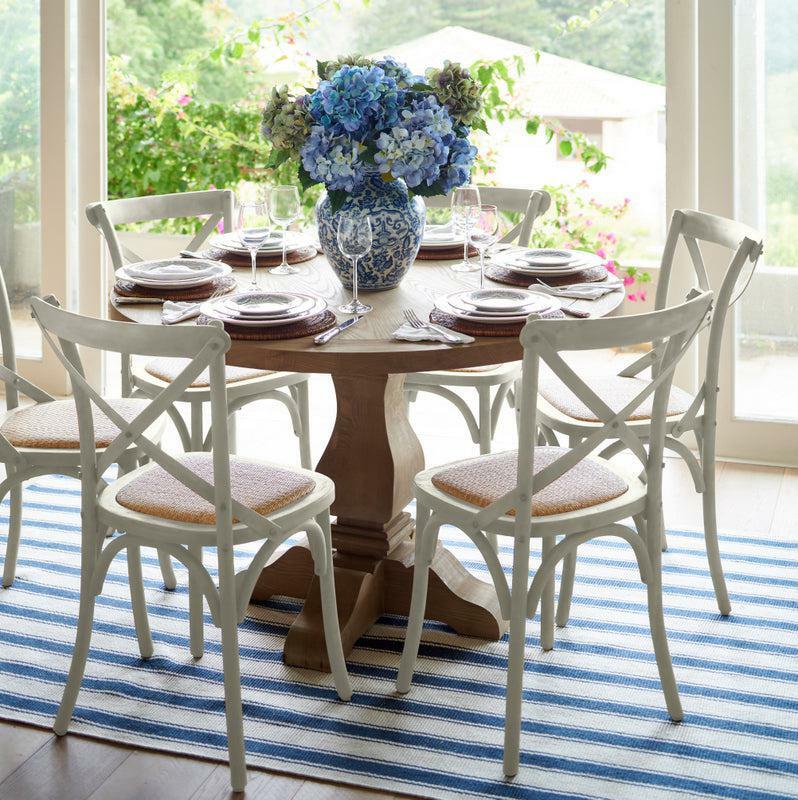 Fading: placing rugs in direct and continuous sunlight will cause them to fade. Charcoal colour products will fade in natural light and/or sunlight. Some colour may transfer on light coloured surfaces. 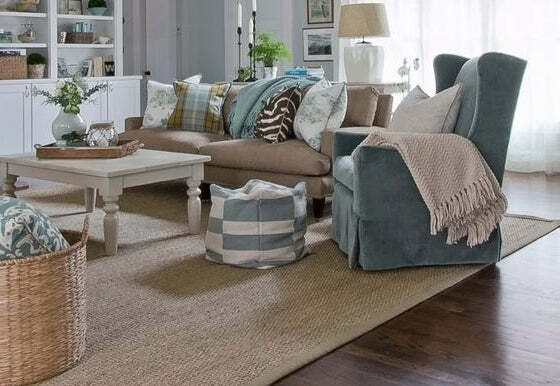 Rotate your rug to minimize damage caused by natural light. 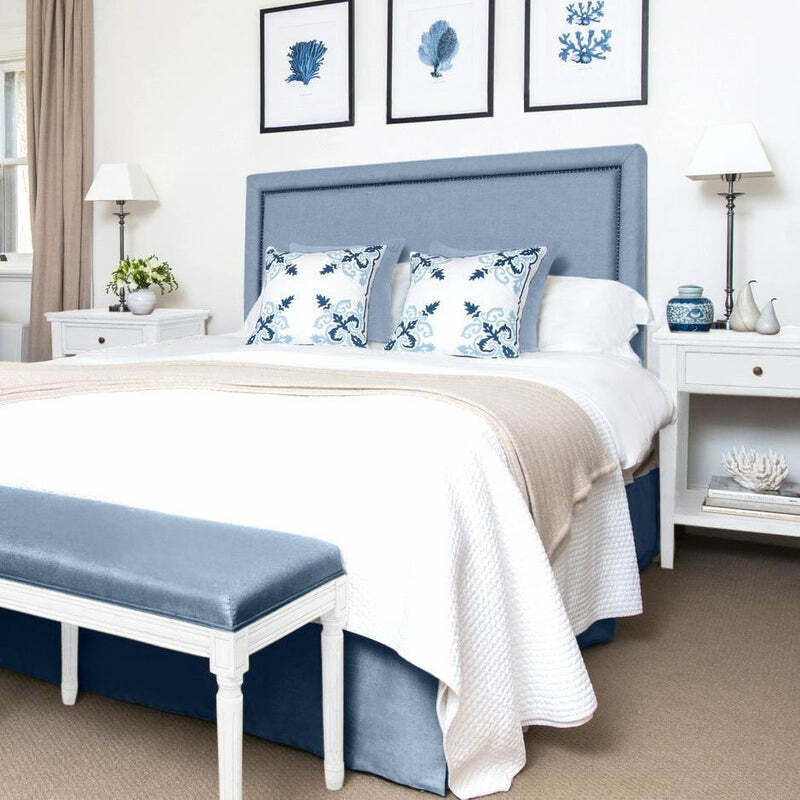 Design & Construction: minor variations may be evident, which is due to the fact that the product is a handmade item including line/weave thickness. Shading: due to changes in pile and weave direction shading may occur and is a natural characteristic of carpets and rugs. Shedding: this can occur in handmade rugs that are made from all natural fibres. 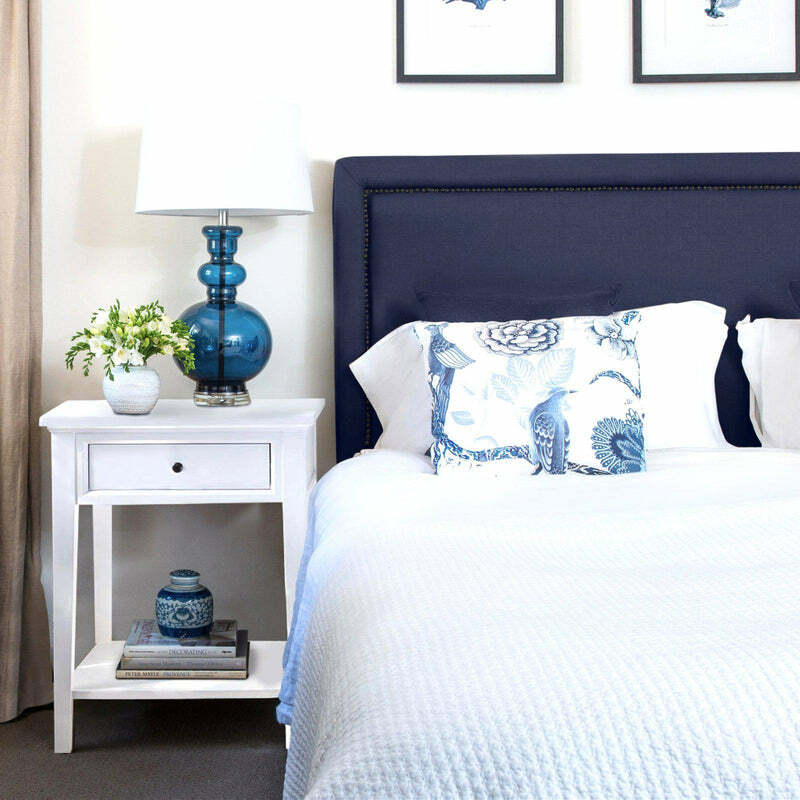 Natural fibre rugs will initially shed loose fibres, this is a normal process. The removal of any loose fibres will be hastened by regular vacuuming using a good quality upright vacuum cleaner. Pilling: this can occur due to traffic, moving of furniture, vacuuming or other mechanical agitation. This can be trimmed with scissors. Pop ups: due to the type of weaving, there may be short fibres popping up while the rug settles. Do not pull the pop up. The pop up(s) can be trimmed or pushed through. 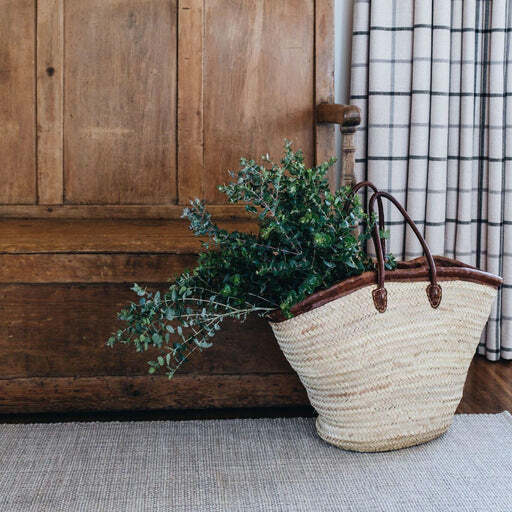 What routine care and maintenance is required for a Dash & Albert Jute Outdoor rug? Regular vacuuming and the occasional gentle shake should keep your rug in shipshape condition. When vacuuming, always use the standard floor head; never use the rotating brush. Dry spots can be removed by scraping carefully towards the middle of the spot. Do not rub wet spots; simply absorb with paper towels. Professional cleaning is recommended when needed. Due to the handmade quality of our rugs, they may vary slightly in size and/or colour. Do I need to place a rug pad under a Dash & Albert Jute rug? Dash & Albert recommend rug pads be placed under all of their rug products. You can purchase a Dash & Albert Rug StopTM rug pad from Lavender Hill Interiors or purchase your own. The Dash & Albert cushy rug pad will have you stopping in your tracks when you feel the difference it makes under your favourite rug. A low profile supports the rug evenly, promoting even wear and keeping it looking handsome year after year, while the woven construction promotes air circulation. 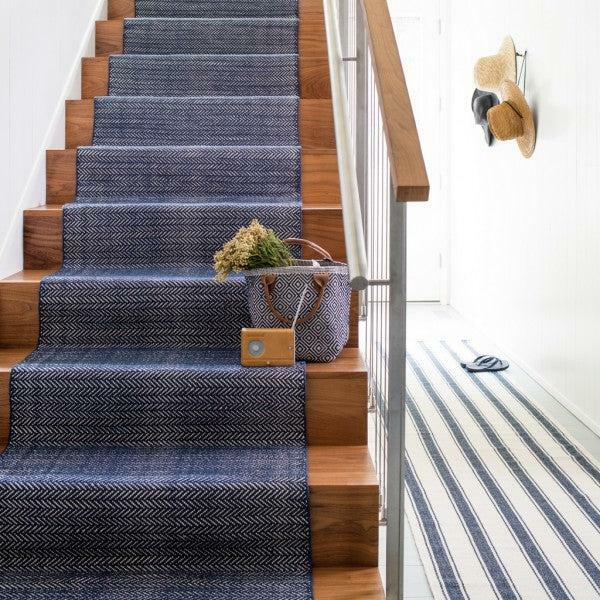 Made of PVC- coated polyester with high-grade vinyl, this rug pad is ideal for use under low-profile rugs throughout the home and on staircases. PVC-coated polyester: Guaranteed not to stain. Fire-retardant, moth-proof, and treated with an antimicrobial guard. Please follow floor manufacturer’s instructions when using a rug pad. Cannot be used on radiant heat floors. Hand wash with mild detergent, rinse, and lay flat to dry. 1. How have the various sizes of Cotton rugs been used by your Clients? 2. 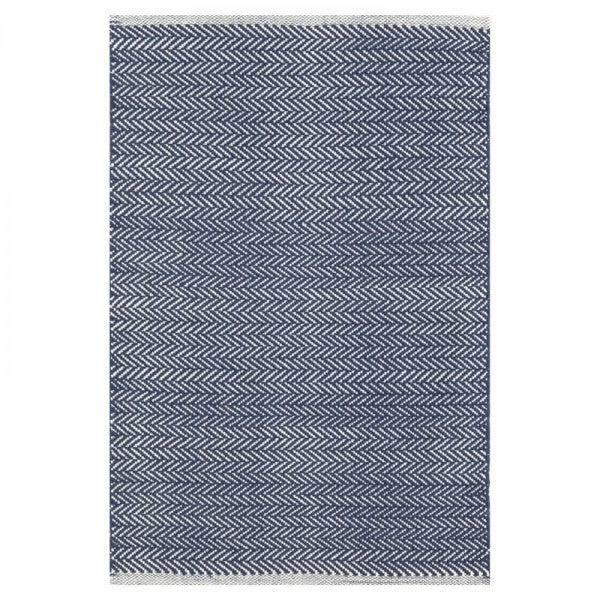 What routine care and maintenance is required for a Dash & Albert Cotton rug? Routine cleaning and maintenance of a Dash & Albert Cotton rug is very easy and time effective. Simply, lightly vacuum, sweep with a broom or pick up the rug and shake it out to remove the general daily build-up of dust and dirt. Ensure that your vacuum cleaner has been fitted with a new bag. Do not use a rotating head vacuum system on your Woollen rug as this can cause irreparable damage to your Cotton rug. 3. How do I remove stains and marks from a Dash & Albert Cotton rug? Dash & Albert recommend that all Cotton rugs should be professionally cleaned to remove stains and marks. Do not bleach, machine wash or tumble dry these rugs. 4. What should I do if my pet urinates on my Dash & Albert Cotton rug? Animal urine is extremely acidic in nature and must be removed quickly to avoid irreparable damage to your Cotton rug. Immediately blot the stain removing as much of the liquid as possible. We recommend that you call a professional cleaner immediately and discuss with them directly how the Cotton rug should be cleaned to minimise any damage. 5. Do I need to place a rug pad under a Dash & Albert Cotton rug?